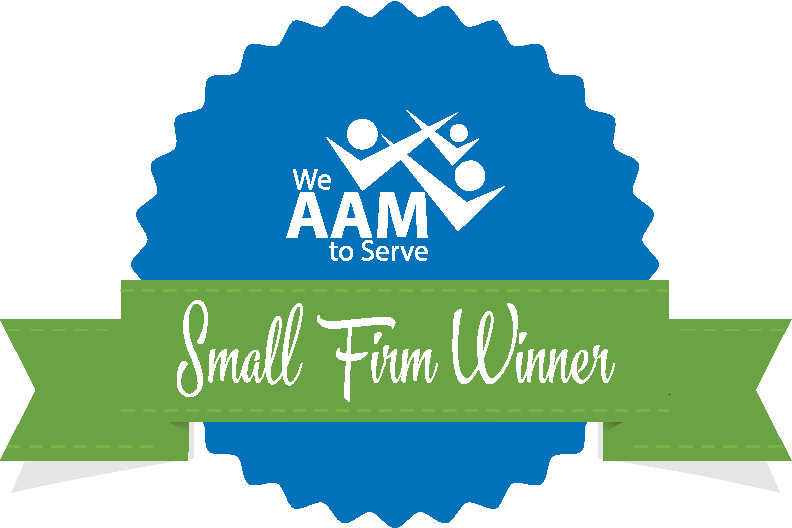 AAM is proud to showcase firms’ 2018 philanthropic efforts with We AAM to Serve. These awards honor the many ways our members’ firms give back, bring about change and build stronger communities where they live and work. Has your firm enriched the communities you serve in 2018? Share your story! Tell us what you did, who you helped, and what impact you made. By sharing your story, AAM members can acknowledge your accomplishments and get some great ideas of how to serve their own communities. Submit your firm’s philanthropic story, including what your firm accomplished and how it impacted the community. Include pictures and/or videos that help tell your story. 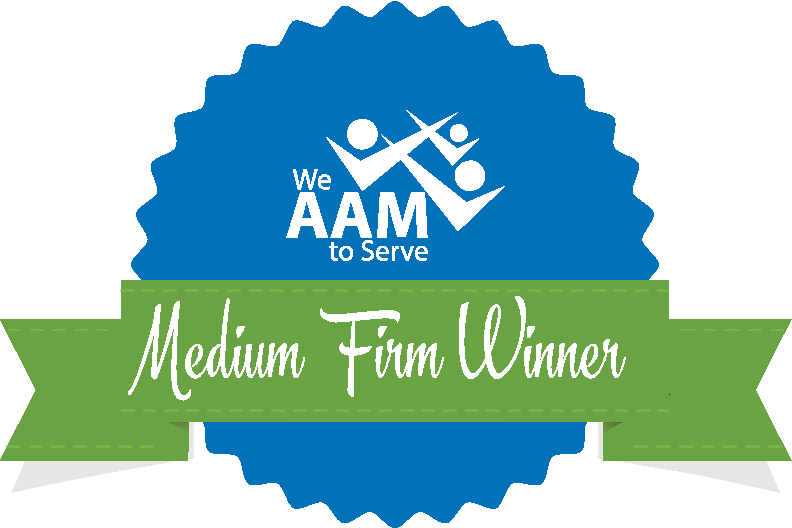 And if you have the We AAM to Serve logo in the picture, even better! To submit your firm’s philanthropic story click here. Three winners from each firm size category will be determined based on impact on the community, firm involvement, creativity, the overall feel of the firm’s philanthropic story and the submission quality. 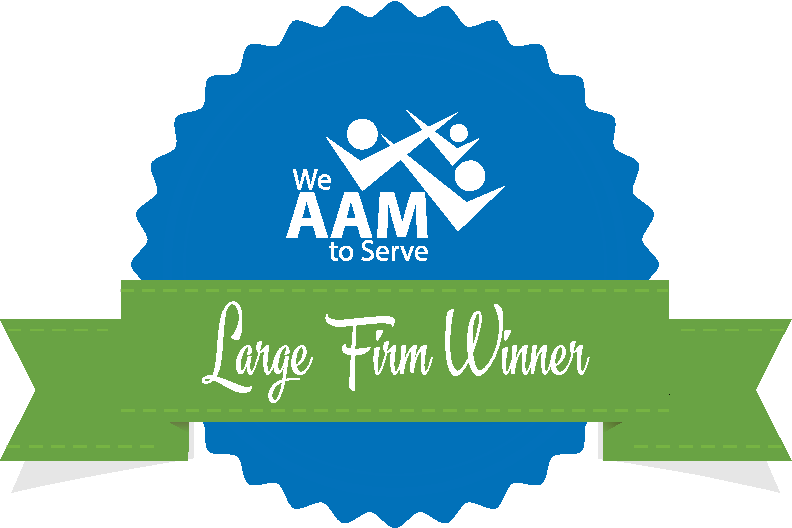 The winners will be announced at the AAM Networking/AAM-MAA Awards Reception at AICPA ENGAGE in Las Vegas on Monday, June 10, 2019. Entries will be showcased on social media, AAM Minute, AAM member mailings and the AAM Website. Copyright © 2019 Association for Accounting Marketing.